This year (and last) I took my son's party on the road so that I could enjoy it with family that lives 5 hours away. I thought they would enjoy not having to travel and I loved spending time with them. 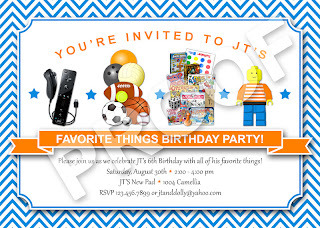 The theme for this years party was "Favorite Things" birthday as my son has so many favorite things from the Wii and sports to board games and Legos. 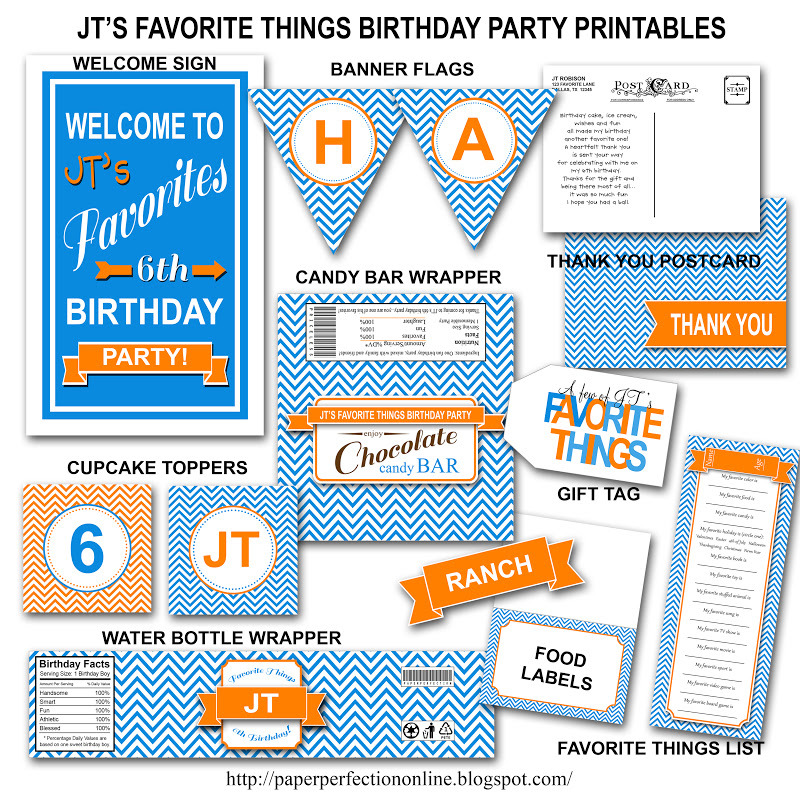 It seemed like his party theme changed from one week to the next so I thought this type of party would be a GREAT way to give incorporate everything that he loves into one party. 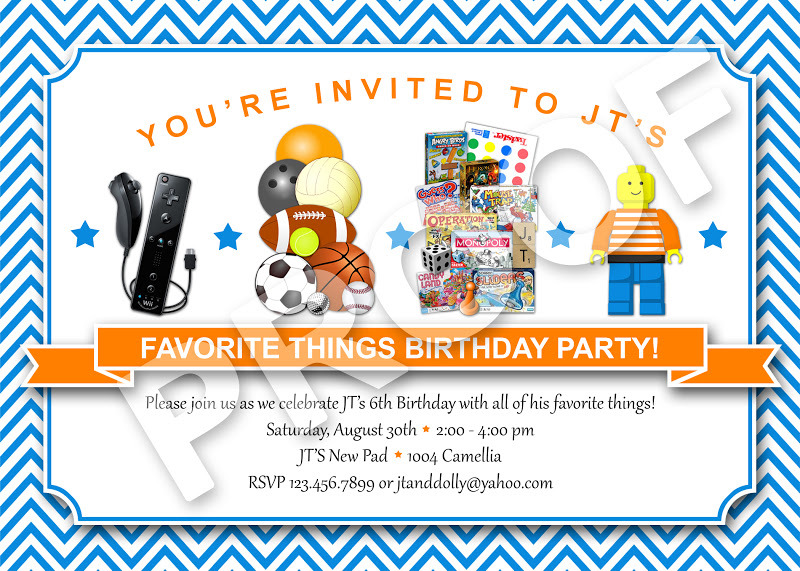 It was so an easy party to plan as we served all of his favorite foods, played his favorite games and gave away lots of his favorite things as party favors including Curious George books, Angry Bird band aids, travel games, miniature Lego people and chocolate candy bars. 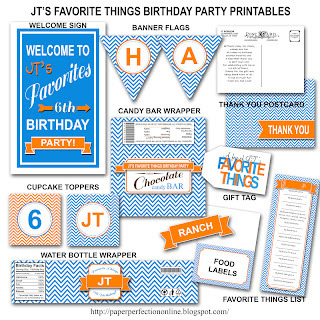 If you would like to host a "favorite things" birthday party contact Paper Perfection at jtanddolly@yahoo.com for pricing and details.